If you haven’t heard by now, Mission: Impossible – Fallout is great. That’s about all you should know going into it. With that in mind, I’ll try to keep the first portion of this interview spoiler-free and give you ample warning when we start discussing plot specifics. 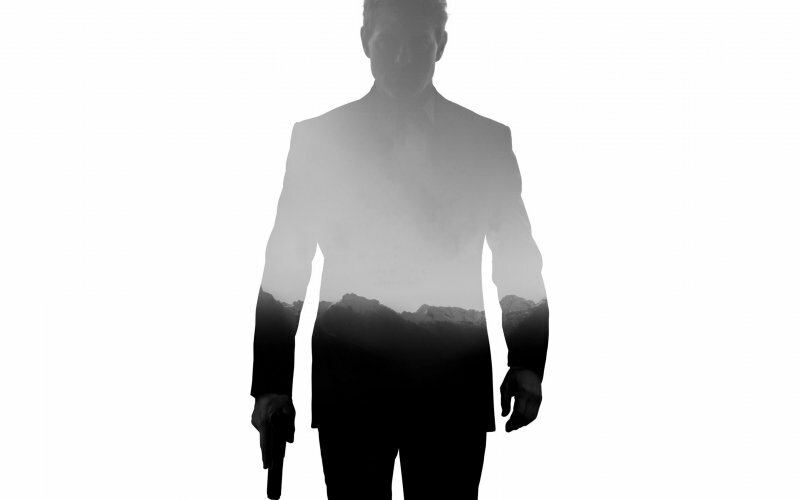 I will say that if you love a good action film, suspense, drama, and just a great spy-thriller – this film is for you! Director Christopher McQuarrie didn’t hold back anything. 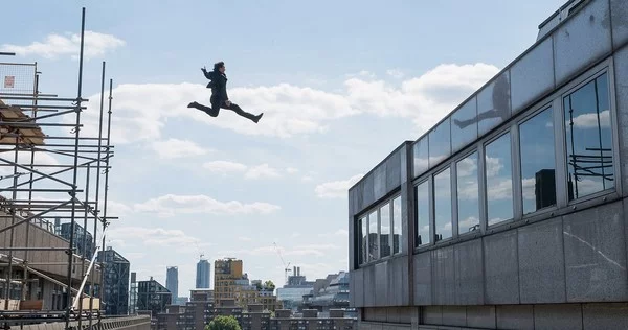 In a way, all of the films are about Ethan Hunt, though the connective tissue between films has never really given fans the sense of journey. I touched on that a couple of months ago, surmising that we really didn’t know Ethan Hunt all that well. 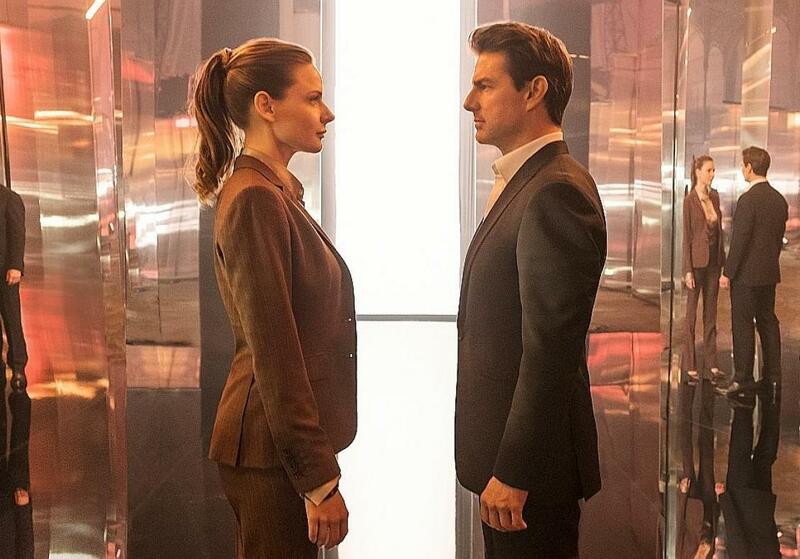 After Fallout, I walked away feeling like I had a deeper understanding of the enigma that is Ethan Hunt. We really get inside his head in this film and see why he continues to put his body and soul through the meat-grinder of IMF (Impossible Mission Force) assignments. We also get to see what he’s lost and how his decisions have affected so many other lives. Hunt is literally faced with some of his worst nightmares, all rolled up into one stunning showdown by the adversary in this film. At the heart of this film and franchise, everything leads up to this showdown, and it’s easily the most incredible finales of the franchise. When the credits started to roll, my first thought was “How in the hell are they ever going to top that?”. As much as it is about Ethan, it is about the people around him. The people who have come and gone; and what happens when those people, both enemies and allies, come back into his life while he is fighting the world closing in on him. Tom Cruise has mastered the monotone emoting of Hunt with glares, one-liners, and aggression – though this performance stands out. There is a desperation in Hunt we haven’t seen since the third film, but Hunt’s dilemma is he doesn’t have one person to focus. Where in Mission: Impossible III, the focal point of all Hunt’s desperation was to save his wife. In Fallout, everything and everyone Hunt has allied himself with are under fire. Cruise does a great job of conveying this onscreen and demonstrates why he is still one of the great Hollywood stars. 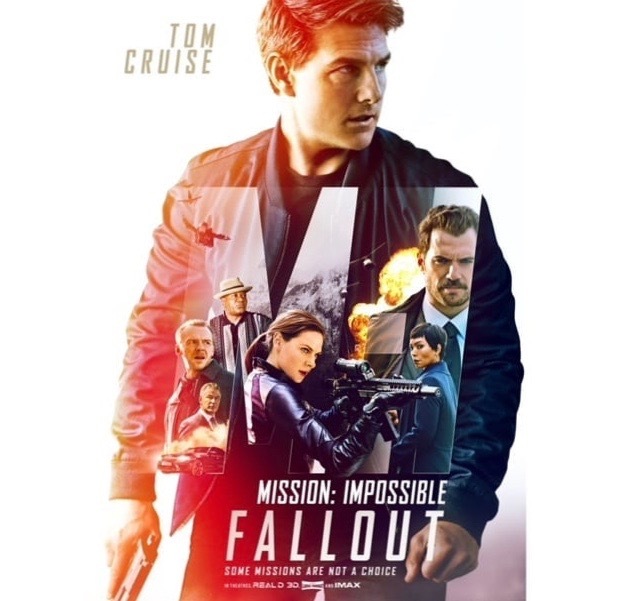 This isn’t my favorite Mission: Impossible film, but I do think it’s Cruise’s greatest portrayal of Ethan Hunt. Ving Rhames, Rebecca Ferguson, Simon Pegg, and Henry Cavill are all part of his team this time. Cavill’s character, Walker, is something of an outsider who’s been tasked with dealing with Hunt, who he considers to be a relic of the intelligence community. Feguson’s character comes and goes throughout the film, as you discover she has her own reasons that run parallel to Ethan’s mission. Rhames and Pegg deliver expected performances and both have great moments. I enjoyed Rebecca Ferguson, as well, though I wished we had more of her in the film. She appears sporadically through most of the film and I felt her caliber of performance – coupled with the intrigue of her character Ilsa Faust – demanded more screen time. I was very underwhelmed with Cavill, who really didn’t seem to have much chemistry with any of the other cast. His performance is fine, it just seems out of place with the rest of the cast, but his character also has a very complicated role to play, so I would like to see the film again before I pass final judgement. Just my initial reaction to his screen presence. 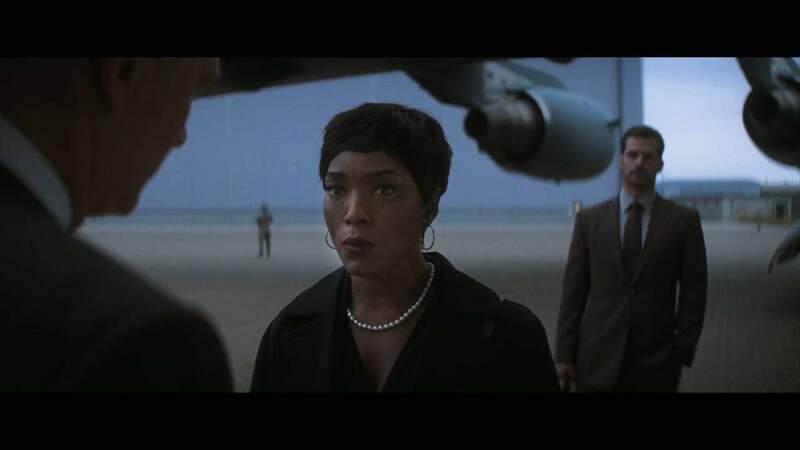 Angela Bassett and Alec Baldwin certainly capitalize on any screen time they get. Both veteran actors are great in their respective roles as intelligence commanders, and it’s nice to see them play more of a role in what actually happens on film. Both fan camps from each actor will no doubt be thrilled with their performances. I smiled each time they came onscreen. Michelle Monaghan returns as Julia Meade and I was given the answers to what became of the Hunt/Meade marriage. That’s all I’m going to say, because the very clever way it ties into the plot is ups the stakes for Ethan. I didn’t see it coming, but when it did, it made perfect sense and added to the rest of the film. I love Monaghan’s work and it was great to see her back in the franchise, especially since Mission: Impossible III remains my favorite film of the franchise. It’s hard to discuss some the issues I had with the film without getting into specific plot points. I’d advise you to avoid the latter half of this review and any other spoiler reviews out there until after you’ve seen the film. It’s a windy road plot-wise, and the less you know, the better. I’m confident in saying this is my second favorite entry into the franchise and I hope they keep making more. 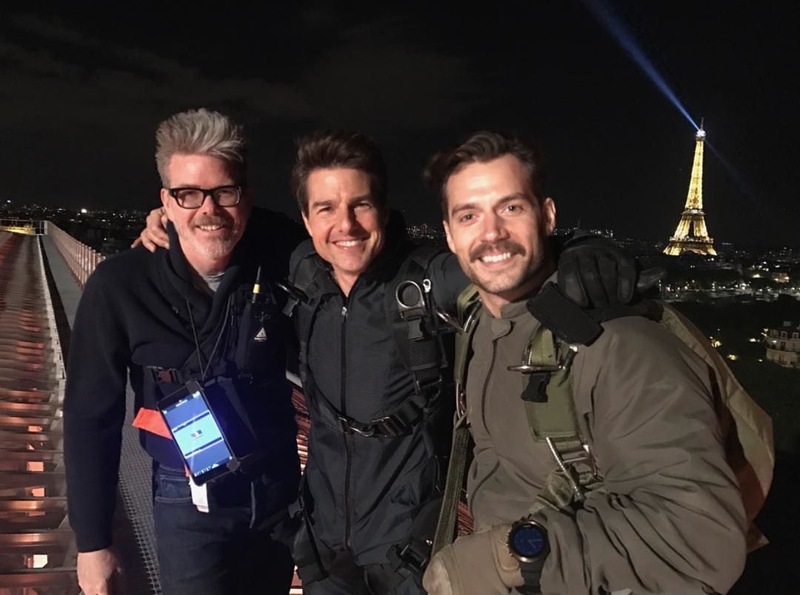 Director Christopher McQuarrie put together a great cast and the technical aspects of filming some of the scenes must have been monumental, so the crew behind the camera should be drinking champagne this week. 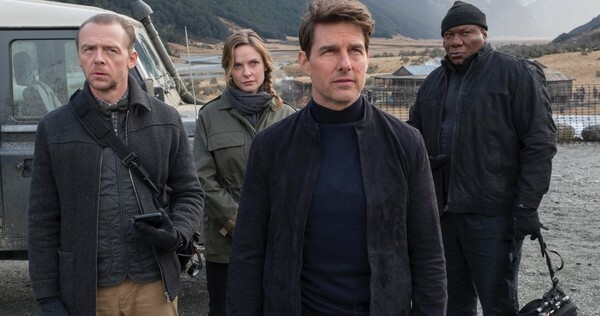 Mission: Impossible – Fallout is an excellent addition to this franchise. It’s not a perfect film and I definitely had a few gripes, but there is a lot more to enjoy than to complain about. Suspend your disbelief and get a big tub of popcorn. This is not for the nit-picky, so just recognize you are going into this movie as a two-hour-plus escape from reality and you should be just fine. 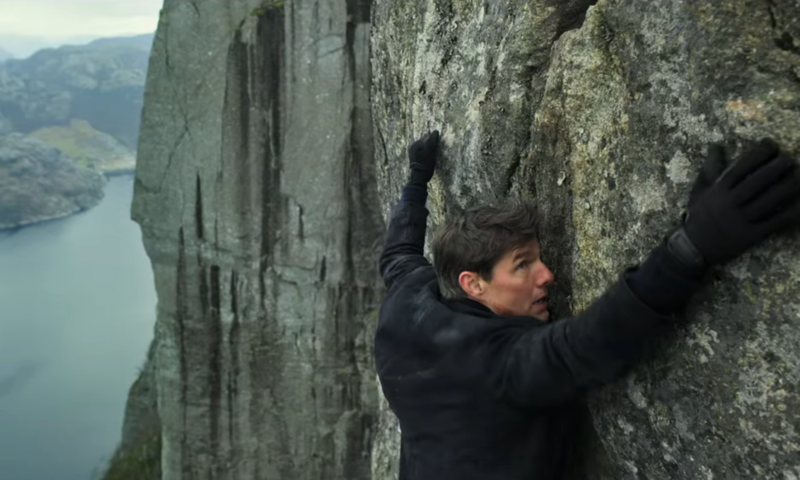 Mission: Impossible is alive and well, and I’m hoping we see more of these films, as long as the people behind this one are willing to keep making them. Still here? Okay, let’s roll…. My biggest gripe with Fallout? Henry Cavill. Let me preface what I’m about to write with this: I went into this film with high hopes for Cavill’s performance. I think he’s a fine actor and actually enjoyed his portrayal of Superman (even though I despise those films, but that’s for another article), so I was hoping he’d get to deliver a performance in a franchise that’s been consistently good to its actors with the script. I don’t know who made the call to hire him, but he’s terribly miscast in this roll. Granted, the ambiguous nature of the character probably made it a challenge, but Cavill’s performance was a big distraction for me. I mentioned the lack of chemistry with a great cast, and that’s apparent in every scene, especially the ones he shares with Tom Cruise. 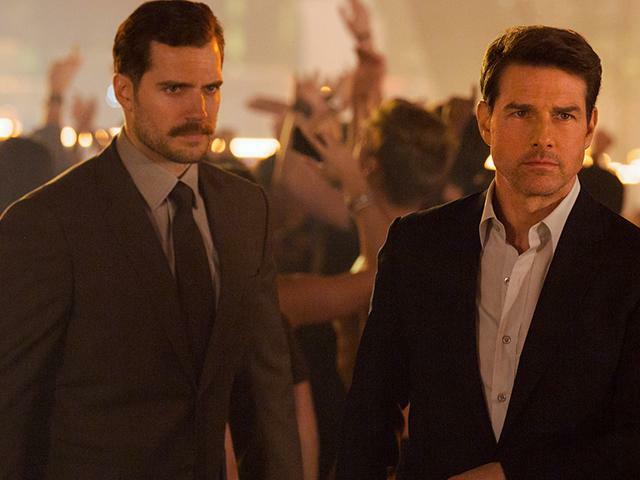 Cavill and Cruise have the onscreen chemistry of a wet-dog and a rabid raccoon. One of the biggest things Cavill had working against his character – C.I.A assassin Walker – is that they not-so-subtly reveal that he’s a villain pretty early on in the film. It’s no surprise, at all, since he antagonizes Hunt from the first moment they meet, even though they are technically working together. Walker is supposed to be this badass assassin and it’s almost like the reveal de-fangs any clout he’d have as a villain. Not to mention, they made a really poor choice to recycle Rogue Nation‘s Solomon Lane (Sean Harris) who is close to the bottom of my list of M: I villains. Walker and Lane are working together, but there’s no, “Oh wow, these guys are so evil” moment. Granted, what they intend to do – contaminate one-third of the world’s water supply with fallout radiation from a nuclear blast – is pretty evil, there’s not a lot of menace. Walker comes across about as sinister as a rival quarterback from the football team, and the fact that Solomon Lane is literally handcuffed through most of the film doesn’t really help him either. Walker’s physicality is impressive and his role as a physical opponent of Hunt’s is great, but that’s about as harrowing as it gets. While I’m on the subject of Walker, I think the franchise has a villain problem overall. In every entry to the franchise – aside from Ghost Protocol –some element of the antagonist stems from IMF and Hunt is disavowed because of them. I’d like to challenge the screenwriters to come up with a different formula, because this has become a tired one. I maintain that the late Philip Seymour Hoffman still sets the standard by which all Mission: Impossible villains should be judged, and he played an arms dealer that was only connected to IMF through one of it’s white-collar pencil pushers. Give us more of those sadistic, straight-up evil villains. They don’t need to have a scar on their eye and a white cat in their lap, but we need some one really over the top – otherwise your audience is gonna start throwing tomatoes. The villains in Fallout really didn’t work that well, but that’s okay, because the other strengths of the film don’t really cause you to notice until it’s over. The double-triple-quadruple betrayals are also a little exhausting, but I was impressed how quickly the plot pivoted to accommodate them. Christopher McQuarrie wrote this script and the clarity of his vision is apparent. Be prepared to pay attention and for the plot to move very quick. There’s not a lot of backtracking and when the big reveals happen, it’s assumed you took note. The ‘MacGuffin’ of the film are three pieces of plutonium that have been stolen by what’s left of Solomon Lane’s Syndicate from Rogue Nation, who now call themselves the Apostles. The kickoff of the film harkens back to the very first entry and you’ll no doubt get a lot of thrills before the opening credits even role. Ethan and his team have to figure out how to pose as international criminals to get to the mysterious person who intends to acquire the plutonium for the Apostles. They go throw a wealthy debutante called the White Widow – who is played perfectly by Vanessa Kirby of The Crown) – and end up exposing themselves and being framed as members of the Apostles. While hunting them down, Ethan and his team encounter Isla Faust, who is doing this as her one last mission to prove her loyalty to queen and country. MI-6 weren’t too quick to let her go after the events of Rogue Nation, so she’s been bound to the British intelligence agency as they still try to clean up the mess leftover from Rogue Nation. Aside from the stunts, the most impressive thing the film pulls off in the story is that you completely mistrust everyone in the film at one point or another. Somewhere in the middle-act, I didn’t trust anyone. Yes, I didn’t even know what Ethan Hunt’s intention was at some points. This film, for all it’s action and explosions, is very cerebral. You’ll question the motivations and I love it when films have me spinning like that. Not only is Christopher McQuarrie a gifted director, he wrote an excellent screenplay. Despite the gripes I listed above, this is a solid thriller, and it adds so many great comedic moments and dramatic undertones. Yes, the stunts are as amazing as you’ve heard. Tom Cruise, to my knowledge, performed them all, and that’s just crazy. I don’t doubt the safety precautions the underwriting insurance companies of this franchise must demand are near ‘pope-mobile’ level to ensure their star’s safety, but I’m still astonished someone of his celebrity does these things. The amount of training and preparation that must go into these elaborate sequences must be voluminous. There’s the skydive sequence (a great behind the scene video of it here, but don’t watch it unless you’ve actually seen the sequence on the big screen) is one of the coolest things I’ve seen on film. That sets the bar high, as it happens pretty early on, but the film is relentless in it’s punishment of Ethan Hunt’s body. Brawls, high falls, sprinting, dangling from helicopters, and being thrown from a motorcycle. I’m sure I’m forgetting something, but there is no expense spared on the stunts of this film. They are truly worth the price of admission alone. I appreciate Christopher McQuarrie closed the open-ended fate of what became of Julia and Ethan’s marriage. Since my favorite entry in the franchise was driven by that relationship, I really wanted to know what became of them. Though it was somewhat anti-climactic and very REAL life, I’m glad we know where Julia Meade ended up. It turns out that not long after they were married, tremendous guilt plagued them both, stemming from Ethan being absent from the world stage and not being able to prevent tragedies since he was no longer a field agent of IMF. They amicably split, but Ethan bears another guilt that Julia has been in hiding since their marriage and always has to look over her shoulder. When we meet her in Fallout, she’s remarried and happy, and Ethan finds out she’s actually very satisfied with her life and constantly traveling to different parts of the world. She and her new husband provide medical relief to remote areas of the world in crisis. The climax of the film takes place in a village they’ve been stationed at, and it’s later revealed Walker has secretly funded their work so he could have something on Hunt with Julia’s well-being. The stage is certainly set for an Ethan and Ilsa romance. It’s indicated that they both have strong feelings for one another that carried over from Rogue Nation. It will be interesting to see where that dynamic goes if there are more films to follow. To be honest, I don’t think a romance would be necessary to necessitate Ilsa’s role in future installments, so I wouldn’t mind just seeing them work together as teammates. I guess we will see, but I do think Rebecca Ferguson is a great addition to the regular cast and would love to see her in the franchise going forward. I wished she was in this film more, but the screen time she has is great. My biggest take away from the film: Christopher McQuarrie is a damn good filmmaker. Expect to be hearing that praise from pretty much anyone who sees this film. It’s another win for practical filmmaking with minimal special effects. Coupled with a great story, Mission: Impossible – Fallout another reminder of why nothing is better than seeing a film in a proper theater. This is a cinematic experience and so worth it. Make sure to get down to your local theater and prepare to be blasted into the stratosphere of adrenaline for over two-hours. Kyle Larson lives in Portland, Oregon. He’s also a contributor to Star Wars News Net. When he’s not writing about Star Wars and movies; you can find him trail running, roasting coffee, or working on his science-fiction novels.